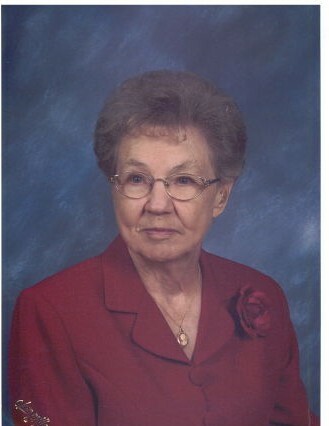 Sarah Sholar Lambert, age 91 of Laurinburg went home to be with her Lord on Sunday, April 7, 2019. Funeral services to celebrate her life will be conducted at 11:00 a.m., Saturday, April 13, 2019 at the Richard Boles Funeral Service Chapel with burial following in Hillside Memorial Park. Sarah was born May 5, 1927 in Bladen County, North Carolina, the youngest of ten children to the late Robert Lee Sholar and Nora Baxley Sholar. She was the loving wife to the late Thurman James “Jim” Lambert who preceded her in death in 2004. She retired after many years of service as a Directory Assistant Operator with Bellsouth. She was a faithful member of the former New Gate Community Church in Lumberton where she served in many aspects with the church. Sarah was an avid Duke Basketball fan and enjoyed bird watching with a special passion for the Cardinals. Her greatest joy was caring for her family and she will be cherished as a loving mother, grandmother, aunt and friend. Sarah leaves behind her daughters, Robin Walker and husband Henry of Alamogordo, NM, Kim Denison and husband Mike of Laurinburg, Jymmi Glynn Weiss and husband Dan of Greensboro, a grandmother of five, great grandmother of six, and an aunt to many loving nieces and nephews. A time of visitation will be held from 6:00 until 8:00 p.m., Friday, April 12, 2019 at Richard Boles Funeral Service. In lieu of flowers, the family requests memorial donations to be given to Scotland Regional Hospice, P.O. Box 1033, Laurinburg, NC 28353.